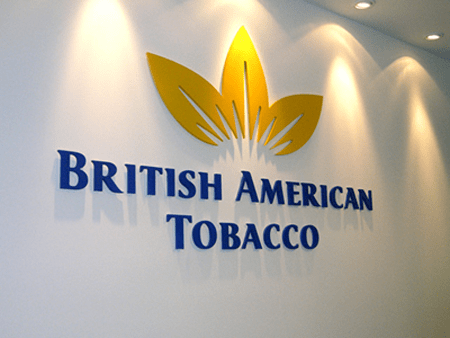 Last week, the British group British American Tobacco (BAT) announced comfortable profits for the 2018 year, boosted by a near doubling of these new tobacco products including the e-cigarette Vype Epen3. A TRIPLE OF VOLUMES OF NEW GENERATION PRODUCTS! British American Tobacco, the owner of the brands Lucky Strike, Dunhill, Kent and Rothmans, among others, reported a net profit of 6 billion pounds (nearly 8 billion Swiss francs). This profit is much lower than that of 2017, which had reached the astronomical sum of 37,6 billion pounds. But in 2017, the net profit had been boosted for accounting reasons with the absorption by BAT of 57,8% of the capital of Reynolds American that he did not have yet for almost 50 billions of dollars - Reynolds being holder of the Camels and Newport . In terms of its actual business, BAT Thursday presented figures in progress, including a jump of 45% of its operating profit to 9,3 billion pounds. Its turnover has risen by a quarter to 24,5 billion pounds (28,6 billion euros). The group, however, suffered a decline of 4,1% in the number of cigarettes sold year-on-year, against a backdrop of a decline in conventional tobacco consumption in developed countries. But at the same time, BAT recorded a tripling of volumes of so-called new generation products, which include the electronic cigarette. Revenues from these activities have almost doubled.